Florence Campbell was born in Woolloomooloo, Sydney on September 5th 1845, the eldest daughter of Ann and Robert Campbell. Her father made his fortune as a merchant, and in trading in gold after the big strike at Ophir. He also owned vast tracts of land in Victoria and New South Wales. In early 1852 the family set sail for England aboard the Blackwall. Subsequently, Campbell purchased the extensive estate of Buscot Park, located on the upper Thames near Lechlade and Faringdon . The house itself was built in the 1780’s by the estate’s original owner, Edward Loveden. Robert Campbell introduced innovative farming methods, and treated his staff exceptionally well. But that is a story I have told elsewhere; this piece is about the beautiful Florence. 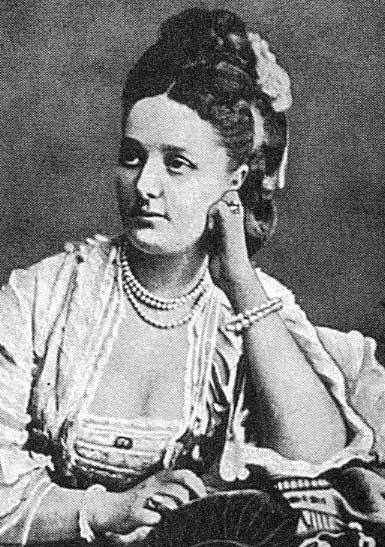 Florence Ricardo, nee Campbell; probably taken in her late twenties. On September 21 1864, nineteen year old Florence married a wealthy and dashing young officer in the Grenadier Guards, Alexander Louis Ricardo. It was a momentous day for Buscot. 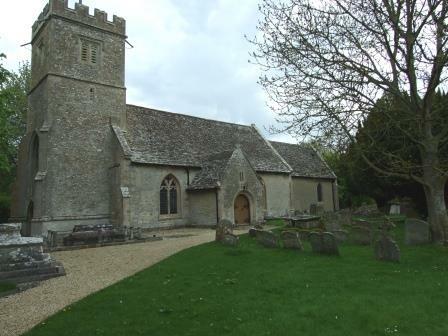 The wedding was written up in the Faringdon Advertiser and reprinted just before Christmas in the Sydney Morning Herald (It took several months for ships to travel from England to New South Wales). Goodness me, how her colonial friends in Sydney must have envied their old playmate! Proceedings began mid morning, with eight carriages transporting the bridal party to the local church of St Marys. The bride was wearing a white silk dress overlaid with white tulle and decorated with the finest Belgian lace. On her striking auburn hair was a wreath of orange blossom. There were nine bridesmaids, including the bride’s younger sisters. Triumphal arches had been erected around the village, each bearing an appropriate motto; Gloria in excelsia! Long life and happiness! May they be happy! Grace, beauty, breathe upon her! Life, fill her path with honour! A sumptuous wedding breakfast was held at Buscot Park. There were fine gifts from relatives and friends, but also from the staff. The farm workers who had been treated so well by Robert Campbell presented the couple with a book described as an ‘illustrated reference bible’. Campbell himself settled a massive twenty thousand pounds on his daughter. The Grenadier Band played as Florence and Alexander left for Faringdon station in a carriage drawn by four greys (with postillions). 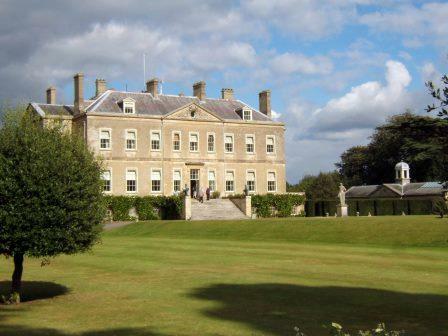 A special train had been arranged, to take them to London and hence to Hockham Hall in Norfolk. This was the home of the groom’s mother, Lady Catherine Ricardo, widowed daughter of the Earl of Fife. Until they established a home of their own the newlyweds intended dividing their time between Norfolk and Lady Catherine’s London home in Lowndes Square. Sweet be her dreams,the fair, the young! Music, haunt thou about her tongue! And angel hands have crowned her! If ever a couple seemed destined for marital bliss it was Alexander and Florence Ricardo. But life can deliver some strange and tragic twists. Mrs Bravo, wife of a barrister who recently died under mysterious circumstances at Balham, England, is said to have been a Miss Campbell, the daughter of Mr. Robert Campbell (tertius), formerly of Sydney. This lady married a gentleman named Ricardo, from whom she separated some months before he died…. This time her old friends and relatives in Australia would react with shock, and read ensuing reports on the Charles Bravo case with intense interest. Those who know of Great Malvern’s famous Dr Gully will know the story, which is also told in my book, The Water Doctor’s Daughters. If you would like to leave a comment please do! Just don’t forget to complete the little sum below the box before you press SUBMIT. A nuisance I know but it’s there to prevent spam. THE DAY BRADMAN HIT A TON FOR BLACKHEATH! A small tribute dear Fiz. I am so appreciative of your ongoing support for both my books! I feel like I need a wreath of orange blossoms in my auburn hair now. Lovely piece, Pauline! Another fascinating story Pauline you make it sound very beautiful. Thanks. Thanks Anne, have been fascinated by Florence Campbell (and what eventually become of her) for quite a while. The Campbell family did not leave Australia in 1859. They actually left Sydney on the Blackwall on 7 March 1852 accompanied by a Governess for the eight children and three servants arriving in London on 16 June after a 105-day passage. Campbell did not make his fortune from gold. He was already weathy. He added to it from buying and exporting gold after the April 1851 strike at the Ophir. Thanks so much for that information. I will update the article.